We were only a couple blocks away from NMU's athletic campus, which is home to the Superior Dome, the largest wooden dome in the world and home to NMU's football, soccer, and track teams. 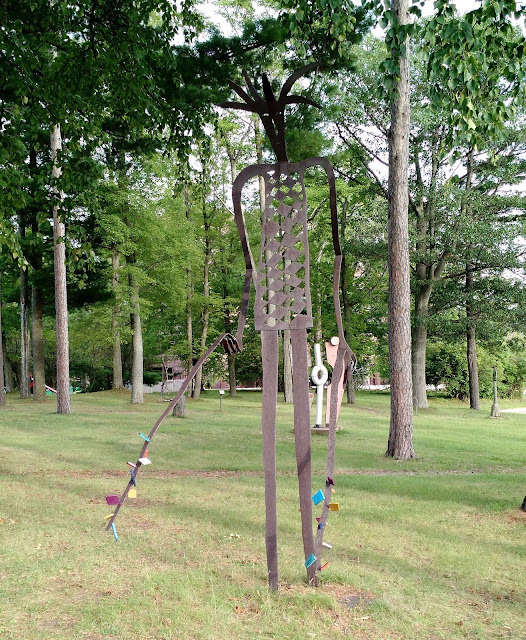 We also walked around the the main campus and enjoyed the outdoor sculpture walk. NMU's main campus also contains the DeVos Art Museum and Forest Roberts Theatre. The downtown area has a great children's museum and a history center. 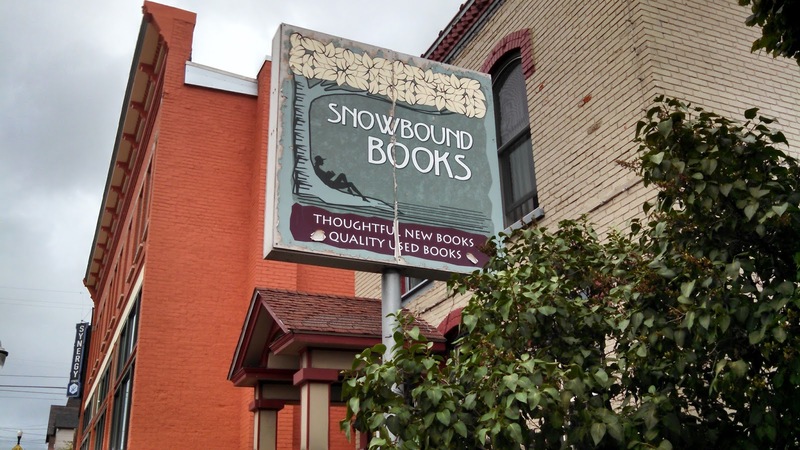 Downtown also has a great independent bookstore, Snowbound Books. My daughters loved the children's section, and I walked out with a couple of books by Michigan authors. Marquette also offers a maritime museum where visitors can tour the Harbor Lighthouse. 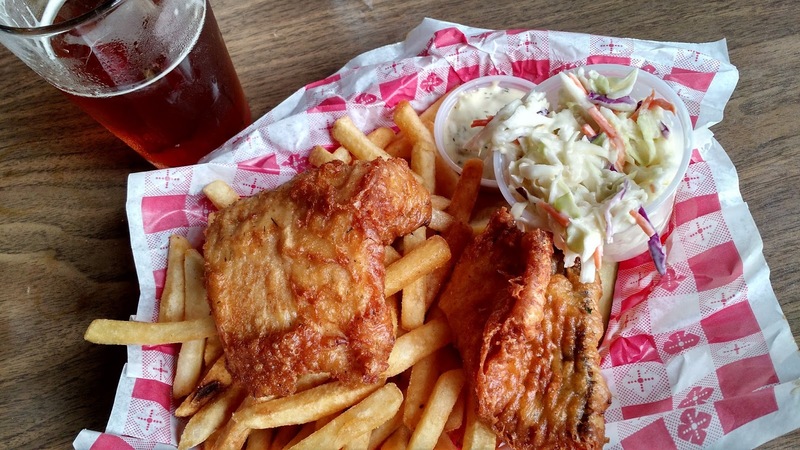 I loved the food and beer in Marquette. 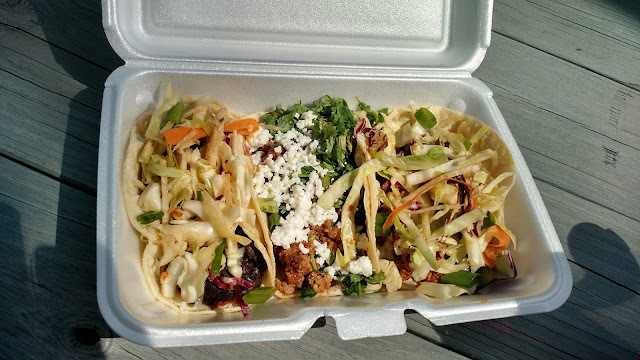 I'm always on the lookout for good Mexican food, and we found delicious tacos from a food truck. Dia de los Tacos parks in a different location each day, but they list their locations on their website, so we easily found them by the medical center on a Thursday afternoon. Their tacos were the best I've had in a while. The ingredients were fresh, and they hit the spot after a day walking around Presque Isle and jumping off the Black Rocks. I think it's sacrilegious to visit the U.P. without having a pasty. Luckily, Marquette has more than one place to get a pasty. I tried Jean Kay's because it was close to our house and it also makes every "best pasties in the U.P." list. My family and I tried the steak, steak with rutabaga, and veggie pasties. All were delicious, and my wife said that the veggie pasty was the best veggie pasty she's had. 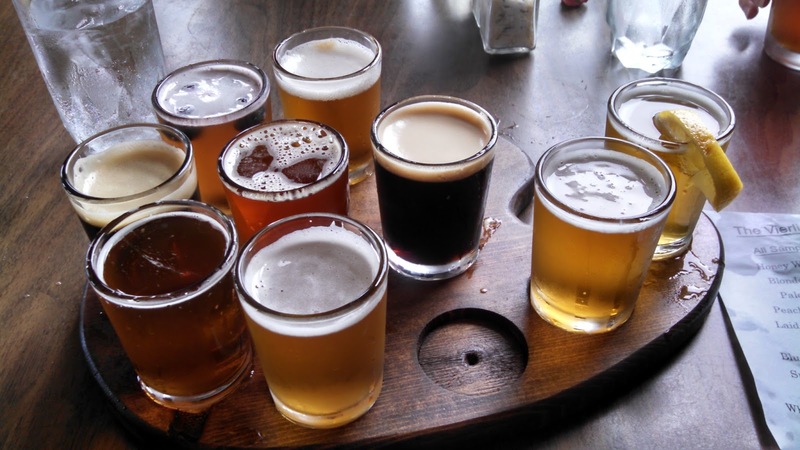 If you like craft beer, Marquette will not disappoint you. The Vierling Restaurant & Marquette Harbor Brewery overlooks Marquette's harbor. The fish and chips I ordered were excellent, but the beer was the highlight. I ordered the beer sampler that includes small glasses of all ten beers on tap. They were tapped out of one beer, so they gave me nine to start and let me pick my favorite of those for my tenth glass. All the beers were good, but my favorites were the porter, the stout, and the Where's My Bike double IPA. The double IPA was so good that I came back later for a growler of it. Marquette has two other breweries that I did not visit, since we had our kids with us, but I did pick up a mixed six pack with a few of each brewery's beers at Everyday Wines downtown. Ore Dock Brewing Company is in the heart of downtown, and I really enjoyed their porter. Blackrocks Brewery is on Third Street in a "little yellow house on the corner." People were sitting outdoors drinking beer and listening to live music one night when we walked past. 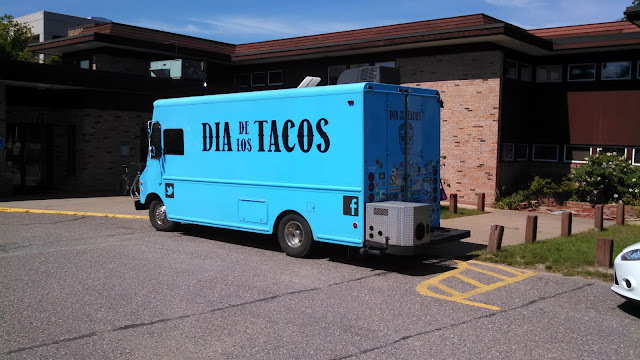 Dia de los Tacos also parks outside the brewery on Friday and Saturday nights. All three Blackrocks beers I tried were good, especially their 51K IPA. A portion of all 51K IPA sales goes toward the maintenance and building of recreational trails. 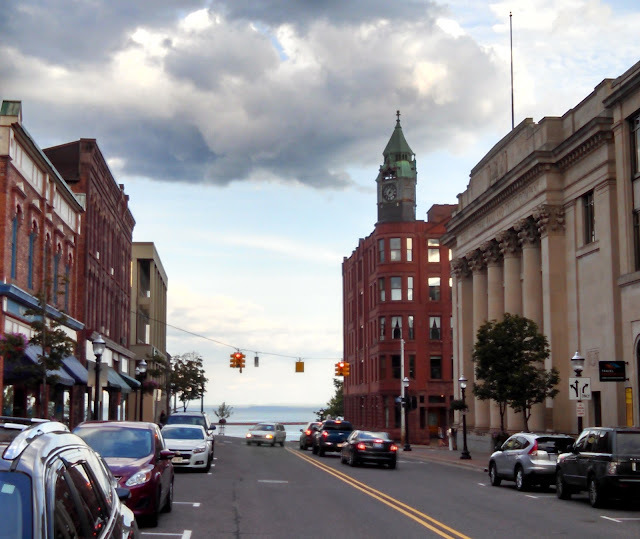 After only three nights in Marquette, I wanted to stay longer to experience more of the city. I'm sure I will return, and I might have to stop in for a growler refill if I'm traveling to more remote areas of the U.P. Sorry to inform you that you missed the best Italian Food in the UP just down 3rd Street, Casa Calabria. It is owned by my Johnson cousins and has the best garlic bread you will ever have in this lifetime. I am a child of parents who were born in the UP so I make a special trip every year in their honor and of course to have the best Italian Food ever. Make sure you go there on your next trip. Thanks for the recommendation. I love garlic, so I will have to check it out the next time I'm in Marquette. So glad you enjoyed your visit to our town, and to our truck! Thanks for the kind words! You're welcome. Thanks for the awesome tacos!